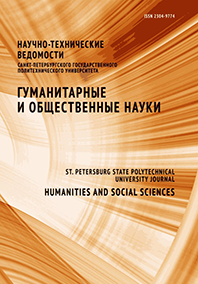 The purpose of this article is to determine the ways of formation of the Berezov garrison at an early stage of its history, i.e., in the conditions of Russian colonization of the Northern Ob region. We have used comprehensive and systematic research methods to comprehensively consider the testimony of the sources that reflect the ways of formation of the garrison town near the mouth of the Northern Sosva since the town’s foundation to the end of the 1620s, taking into account the fragmentary nature of the corresponding documentary data. During the first three decades of its existence, the Berezov garrison included the Cossacks (who formed the vast majority of the service class people) and the “foreigners”, the “Lithuanians”, Germans and Cherkassians, many of whom were exiled; the Cossacks (of whom there were, the same as later on, about three hundred) were ‘recruited’ at the time of the city’s founding in 1593 in Moscow, Kolomna and Pereslavl-Ryazansky. Judging by the nicknames, more than a dozen of Berezov Cossacks of the 1620s were natives of the Central and Northern districts of European Russia; some of these servicemen had previously lived on Vym. The Don Cossacks, led by atamans Argunov and Chermny, first came to Berezov in 1596, sent from Russia to suppress the revolt of the Ostyaks and the Samoyeds (not in 1607, as is sometimes believed). Later, the ranks of the Berezov garrison, decreasing because of the dead, the perished in battle and the runaways, were replenished by new recruits, primarily relatives of the Cossacks, which eventually led to the formation of service class “dynasties”. The findings and observations made can be used in studies on the history of the military service of the population of Western Siberia in the period under review, in general works and lecture courses dedicated to the fate of the Cossacks in the end of the 16th and the first third of the 17th century.